If you are a teacher and want to detect cheaters in your class, the first thing you need to do is to watch the class carefully. You should only concentrate on all activities of students because students only cheat when they find their teacher distracted by some other work. Especially during test time, watch your students carefully. You will always find cheaters’ eyes wandering here and there. Watch for such eyes and make sure all students are busy doing their own work rather than looking at their neighbor’s paper. You will also need making sure that your students are not deceiving you by hiding notes and books under their desks and other books. If some students are talking during test, there may be a chance that they are discussing about answers. If two or more papers have the same answer to a question then it means those students have cheated. In that case, you are required investigating further. The best thing you can do is to establish a policy in class that cheating will not be tolerated at any cost. When students will know about serious consequences of cheating, they will not even try to attempt it. You can establish a no-talking policy either. Students should not be allowed to talk during a test. Being a teacher, you should not leave the room when an exam or test is in progress. 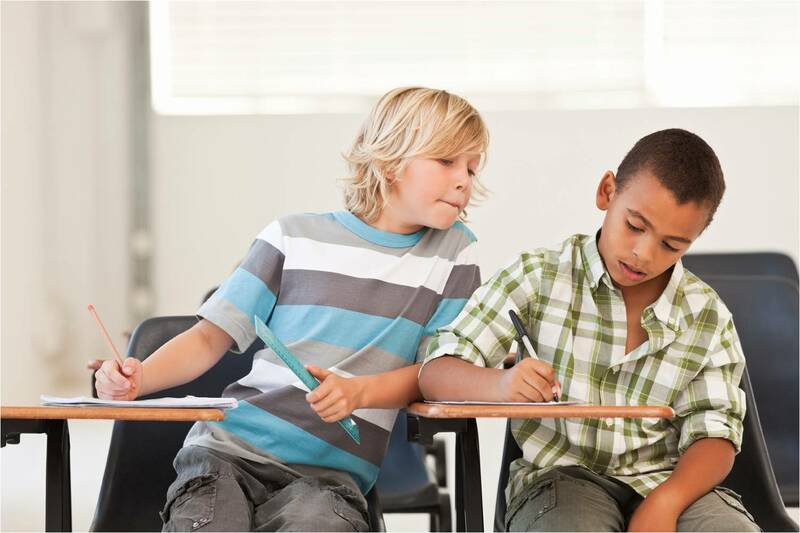 Spread students in class so that they can not look at their peers’ papers. If your classroom is congested and not spacious enough to spread students then conduct test at some other place in school like in library or school hall. Students should not be allowed to keep anything with them during paper except pen or pencil. Create dissimilar tests for students. Pattern of test can be the same but questions for each student should be different. If you have a student who had cheated previously, do not have him/her sit near other students. You can also teach moral principles and values to students to prevent and discourage cheating. For example, you can hang an “Honest is the Best Policy” poster in your classroom. This poster will also serve as a reminder to students. If cheating occurs repeatedly, call student’s parents or send a letter. There should be a proper discussion between parents and teachers on this issue.